Hi this is Shanta kumara TN, I purchased my smooth car called Maruti Alto in October last year with great confidence and pride, although my neighborhood uncle suggested Hyundai Santro, which he also owns. But after the test drive I went for Alto that envied my neighbor. Till now, it has clocked nearly 5000 kms, and trust me; it is the best available small car in the segment, leaving behind Hyundai Eon and Chevrolet Spark. The car is fine n pickup and goes good in any gear, apart from reverse gear that has some issues which I will get it sorted with Service station, but there are a thousand of positives that I will talk about. The city maneuver-ability is remarkable. It is very easy to drive for the starters too in order to put on confidence in them. The AC inside is really cool at even speed of 2 together with some superb mileage figures of 15-16.5 kmpl, full time AC on,, while nearly 19-19.5 kmpl or even at times 20 kmpl (with ac on) on highways. You go anywhere the smooth pick up will leave you alone. Moreover the gear shifting from 2nd-3rd-4th is fairly silky. With this k10 I have achieved a top speed of 115 kmpl, which I record for me, as I broke my own record of 105 kmpl with Maruti Zen, usually I never go for speed. Overall on highway drives it is perfect and the best part is its load dragging capabilities that deserve applause, thanks to POWERUL K10 engine and 5-speed manual transmission. The interiors should be coming good, I expect, with news of New Alto launching in December’2012, as they lack finish levels as in other small cars. The first reason to buy this car is its low maintenance that any middle class person can afford. Besides this, the mileage of this car is truly commendable. 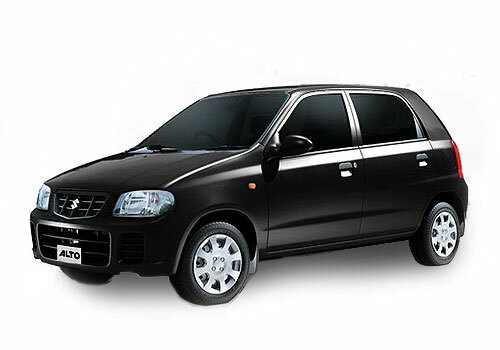 Maruti alto is the first choice of first time car buyer. Maruti Alto is a low budget car with coolest AC and features. Even it is having good resale value. good resell value, actually good mileage is the main plus point to this car. but the seating comfort of this car is not good. Maruti Alto is a good editions. it come with new features. Maruti Alto is really the first choice for first car buyers but now when petrol prices becomes very high thats why petrol cars demanded down..
Maruti Alto have great mileage and excellent performance for middle-class car lovers.